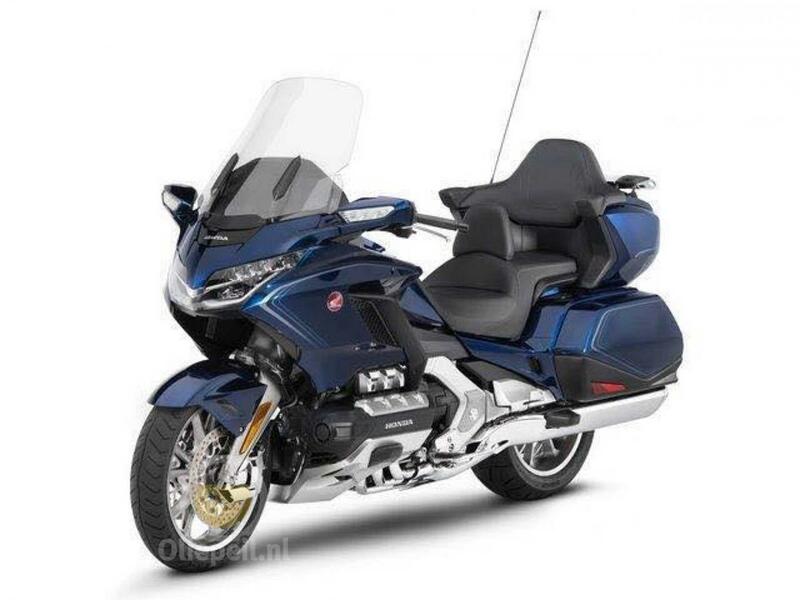 The all-new 2018 Honda Gold Wing has been a long time in development, but the recent release of a teaser video all-but confirmed that the new über-tourer would be unveiled this autumn – finally revealing which version of many patented designs the Big H have decided to put into production. 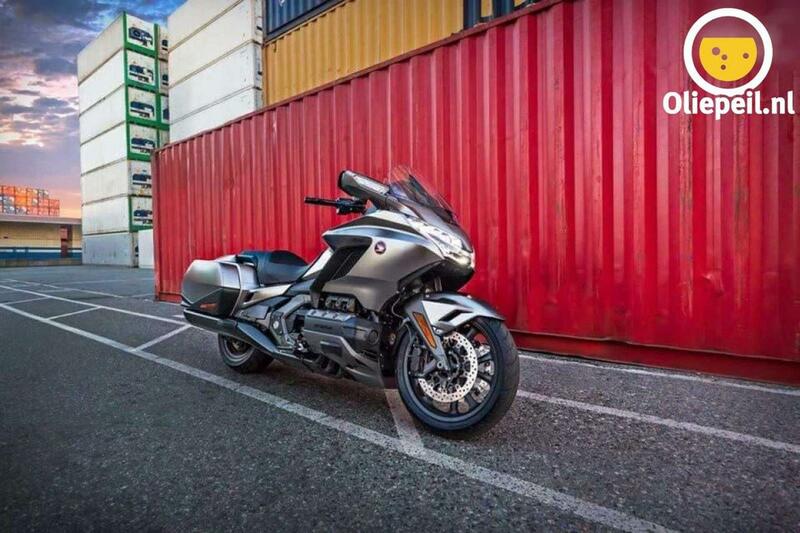 But before the factory could wow us with the official unveil, a swathe of press shots were leaked online earlier this month, completely revealing every angle of the new bike – as well as the replacement for its sister version, the F6B, devoid of topbox, and with a shorter screen and blacked-out detailing. Although instantly recognisable as a 'Wing, the new bike is a radical departure from the glacially evolved existing model. 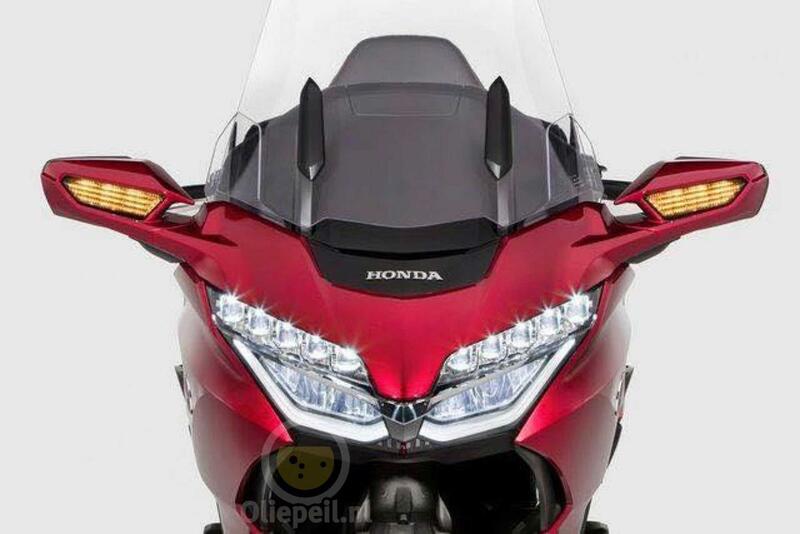 The most striking impression is that the new 'Wing will be considerably lighter than the outgoing version, with a healthy reduction in bulk as the bulbous fairings and whale-like front-end make way for a much sharper styled package that’s likely to appeal to a slightly younger and more tech-focussed buyer. Dive beneath the attractive new aesthetics, and you can’t help but notice the lack of fork legs. 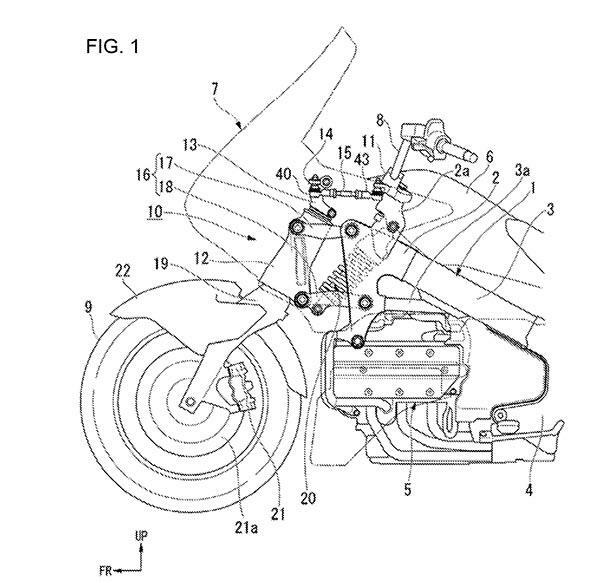 We’ve known for years that the new bike was almost certain to ditch its conventional fork in favour of a reinvented hub-centre steered arrangement – but with Honda patenting several versions it wasn’t until now that we could be sure which iteration they’d choose. 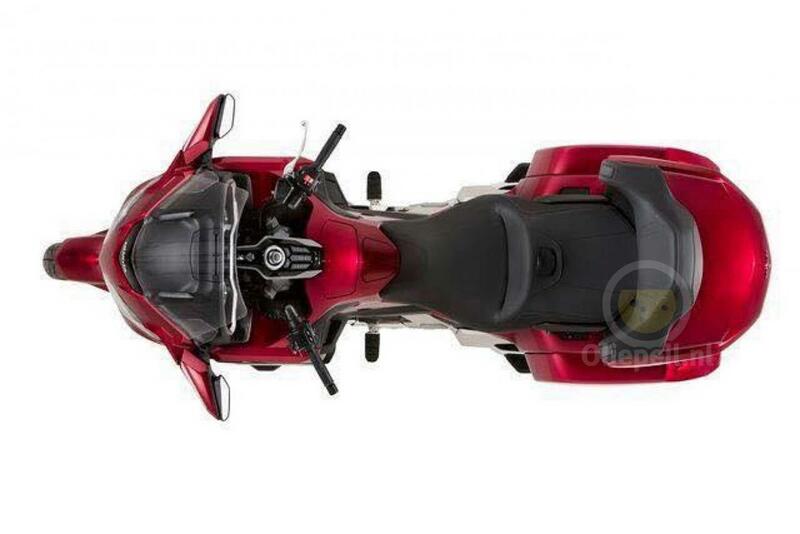 But the pictures clearly identify that it’s the cleaner and less convoluted design (patent pictured above) that won through, looking like a massive bicycle fork which connects into a BMW Duo lever-like arrangement up at the headstock, where a monoshock controls all the damping. While the extensive new dash is far from Tesla levels of cutting edge, it is also a big step forward. 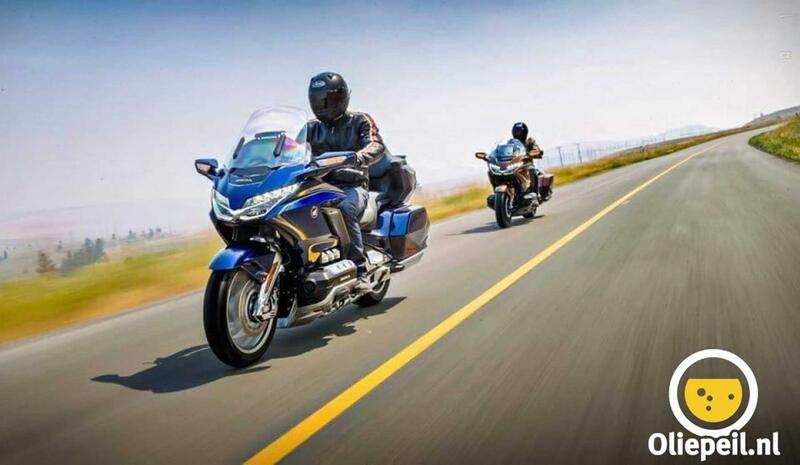 Maintaining analogue dials for speed and revs, it also boasts three small LCD screens for base information, and a large central TFT screen that appears to be navigable via a central control wheel and bar-mounted switchgear. 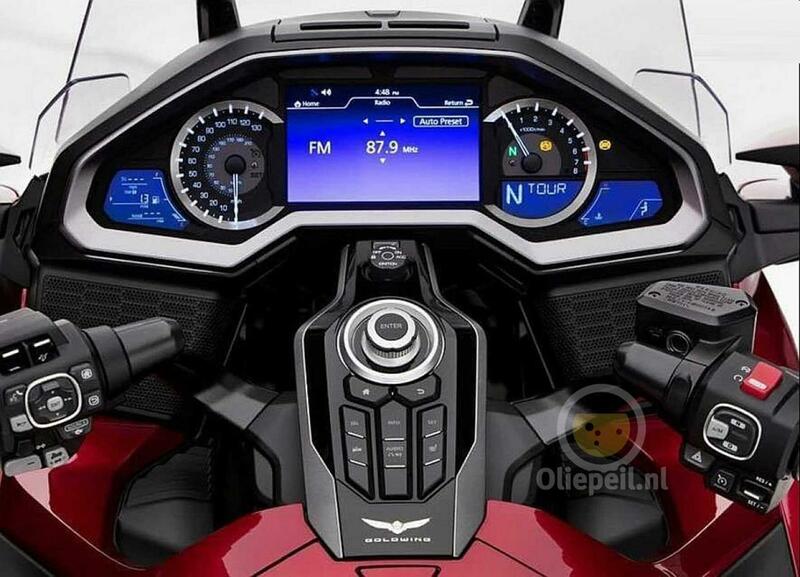 It also features keyless ignition, heated seats and grips, audio and phone connectivity, cruise control, electronic screen, and presumably that large TFT dash can also support sat nav functionality. One icon on the dash appears to suggest semi-active electronic suspension is also present. 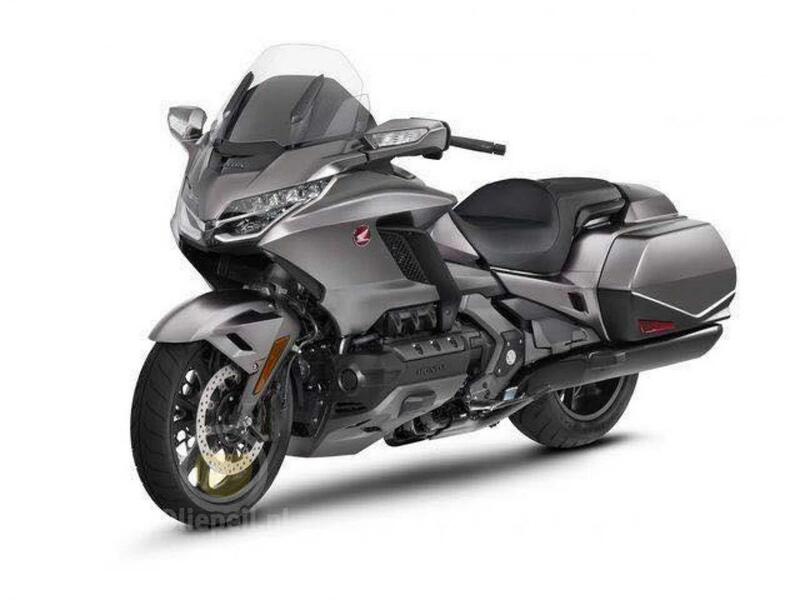 The various models pictured also reveal that we were right to suggest the new 'Wing would have the option of Honda’s DCT gearbox (which our Office Manager is using on the X-Adv this year). 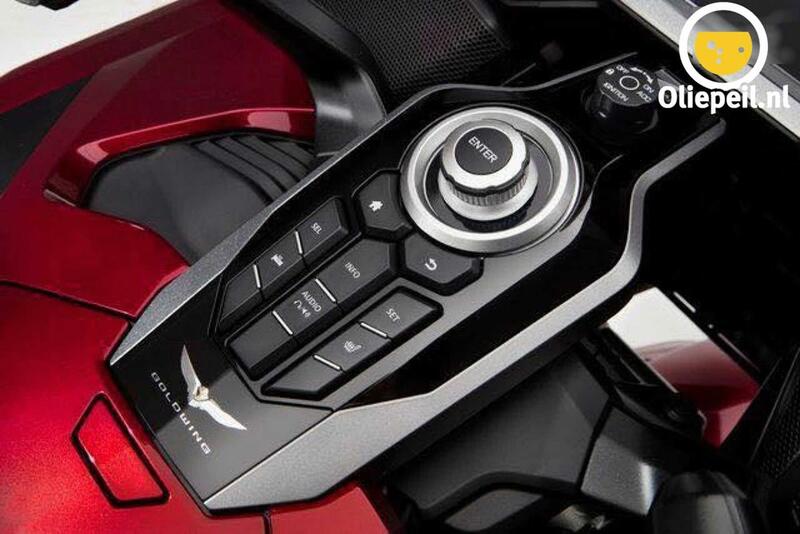 While a clutch lever is visible in several pictures, it’s also notably absent in others, and one shot shows the drive selector buttons on the righthand switchgear, and manual shift buttons on the lefthand switchgear. We expect the models, as well as pricing and availability details, to be revealed at the Milan show in early November.